Australia fireside chat with Adam Greentree & friends. Cameron sits down with Congressman Jason Chaffetz (R-UT) to discuss public land politics. Cameron is joined by Jim Shockey to do a live podcast from the floor of The 2017 Shot Show in Las Vegas. Cameron is joined by Remi Warren to do a live podcast from the floor of The 2017 Shot Show in Las Vegas. Cameron is joined by Jason Carter to do a live podcast from the floor of The 2017 Shot Show in Las Vegas. Cameron and Joe Rogan are joined by Lee & Tiff Lakosky to do a live podcast from the floor of 2017 The Shot Show in Las Vegas. Cameron and Joe Rogan do a live podcast from the floor of The 2017 Shot Show in Las Vegas. Candice Burt, the Queen of 200 mile endurance runs. Cam & Joe talk about the weekend at UFC 202 in Las Vegas and also discuss the recent spear hunting debacle. Cam sits down with Kip Fulks, one of UA's original founders, Brian Boring and innovator Nick Cienski. We talk bowhunting, more Big Roy stories, Bigfoot 200 gear and Fight Camp. Cam sits down with Nate Simmons, a bowhunter, writer and TV producer. Cam & Mike Dolce, of "The Dolce Diet" & 3x Trainer of the Year, talk nutrition, performance, MMA, bowhunting and being the best version of yourself. Cameron talks with Mike Dolce of The Dolce Diet (3x Trainer of the Year) talk nutrition, performance, MMA, bowhunting and being the best version of yourself. Cam sits down with Joe Rogan & John Dudley after UFC 200 in Las Vegas to discuss the night at the event, bowhunting learning curve, guided hunts, releases, broadheads, bow sight dove tail length and also accepting help from successful people. 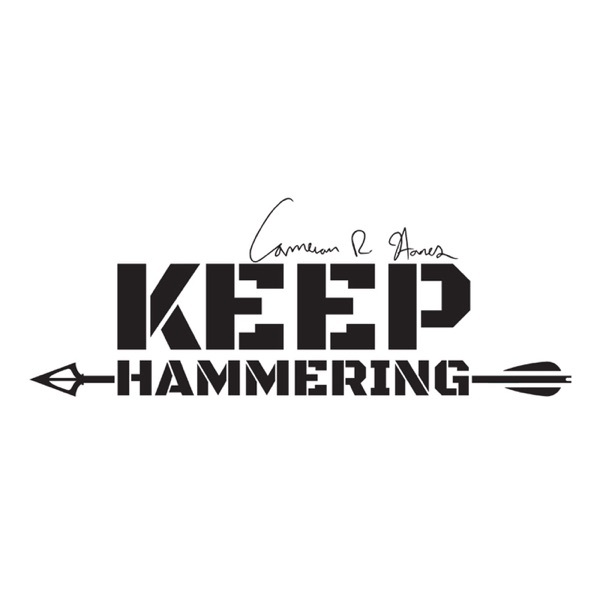 Cam & Joe sit down to discuss bow hunting, endurance training, and the beginning of the Keep Hammering podcast.